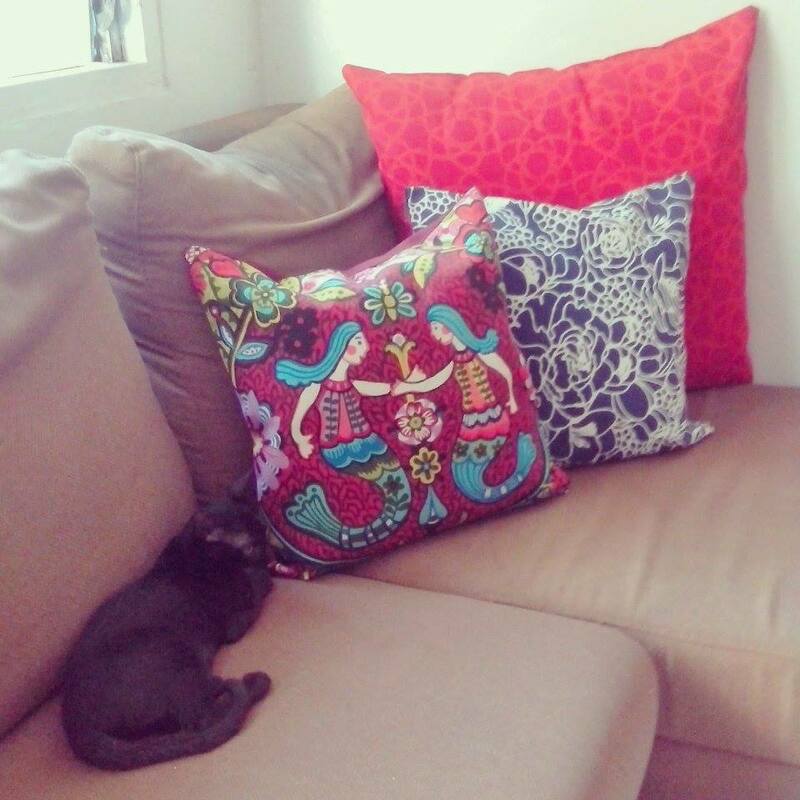 Late last year, I got myself some printed cushions from The Souk Shop. 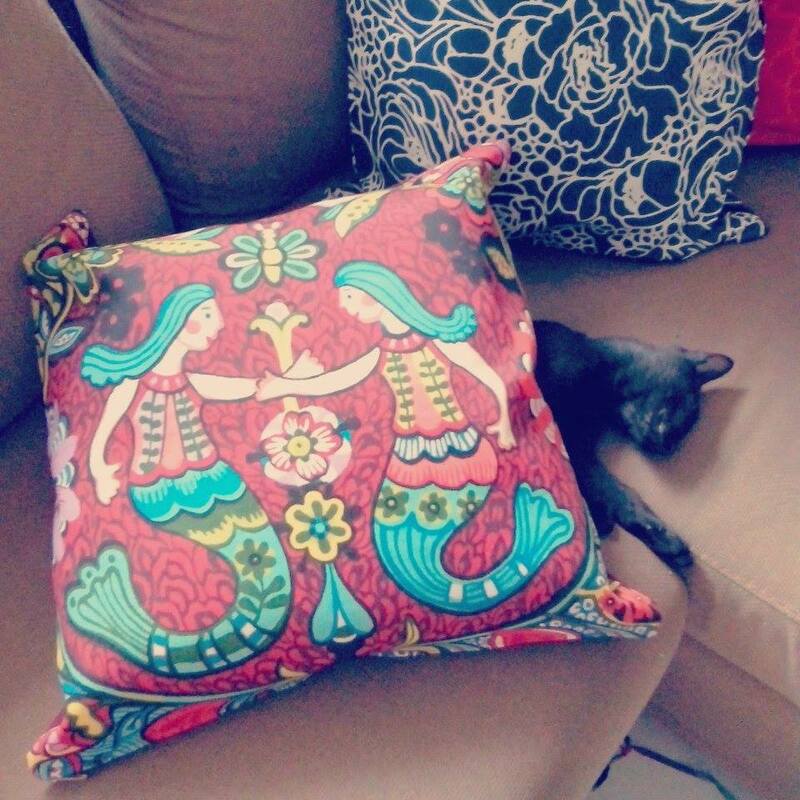 Astroboy took a liking to them and spent countless hours napping on top/beside/under the throw pillows. I had to document these moments, of course, and posted some pics on Instagram and tagged the shop. The pic that started it all. Astroboy for The Souk Shop: What’s in your Market Bag? It’s amazing how different their personalities are from each other. Astroboy is a real star; he knew how to pose and project to the camera! That shot of Ella was the first and only clear one. 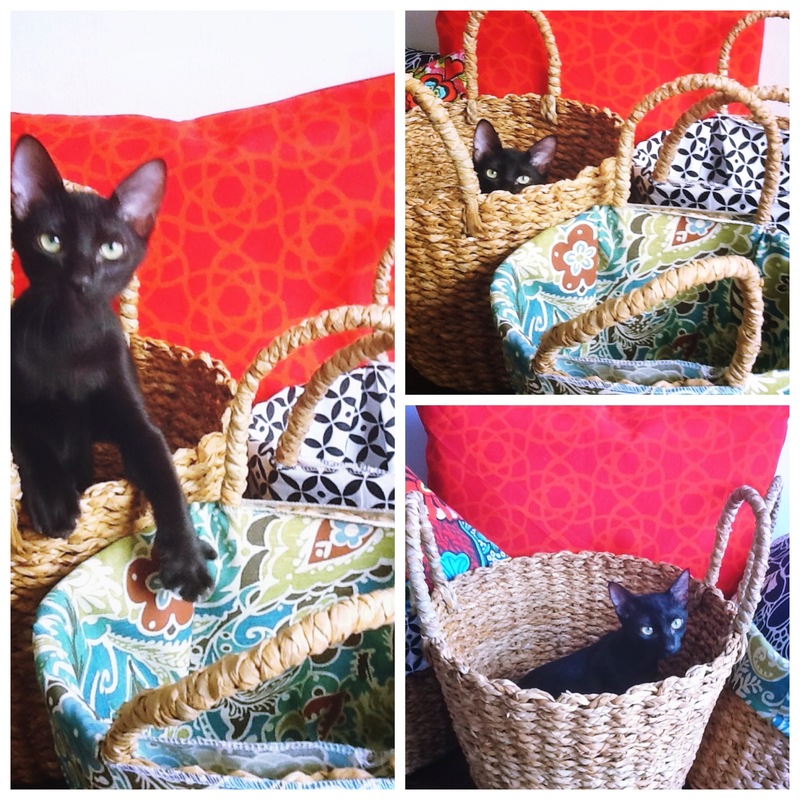 She was so excited to be surrounded by baskets and rugs, she wanted to rub her scent all over them. Hah! 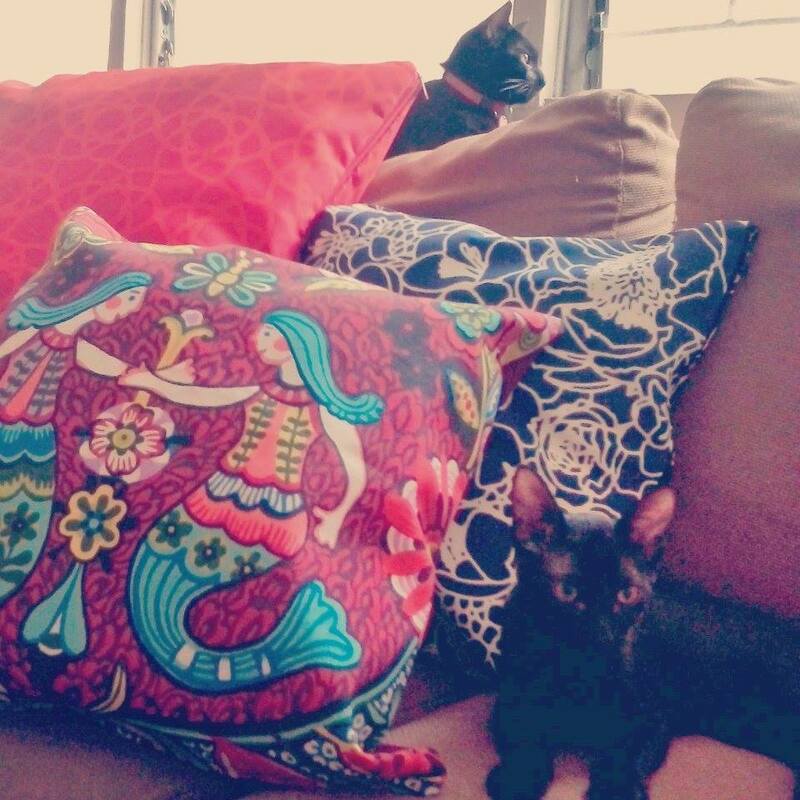 Wednesday refused to participate. That’s my flower child; she has a world of her own in her head. hehehe. She likes to stop and smell the roses, so to speak. Now Twister was a different story. 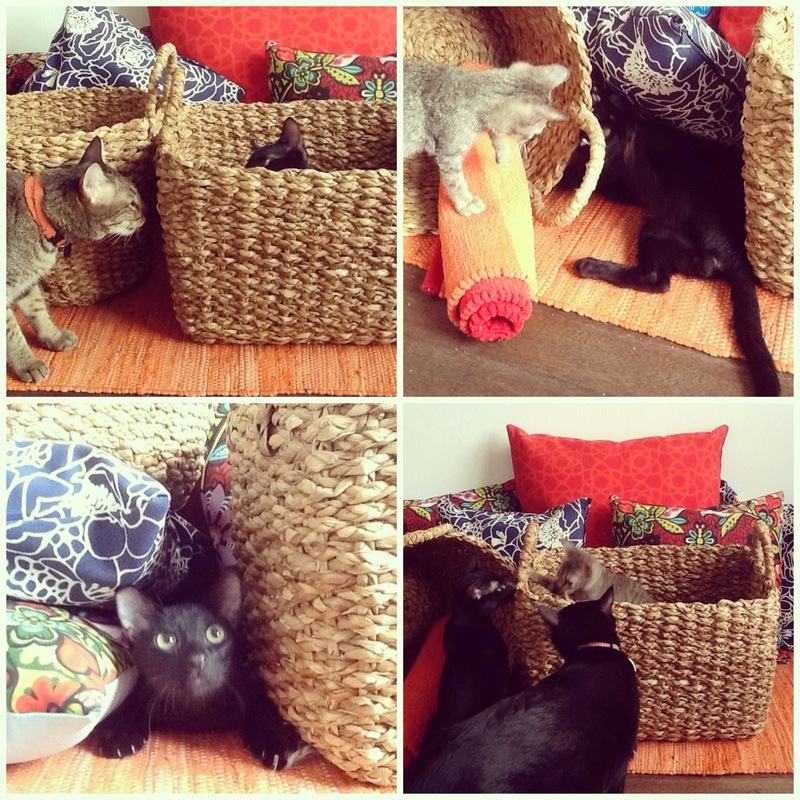 He terrorized the other kitties and wanted the “set” for himself. He was suspicious of the whole thing, though, and inspected each one carefully. 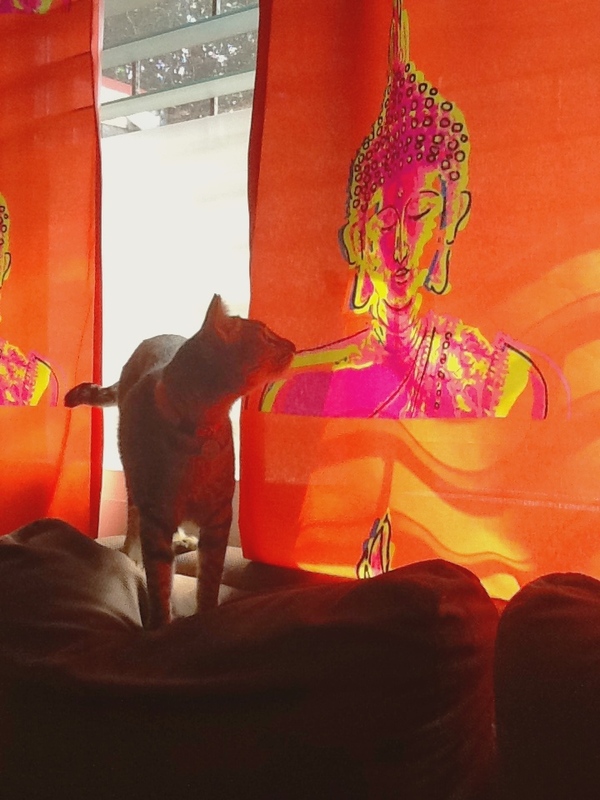 Twister contemplates on my Buddha draperies. Get these items and more from The Souk Shop. 🙂 My cats are not included!